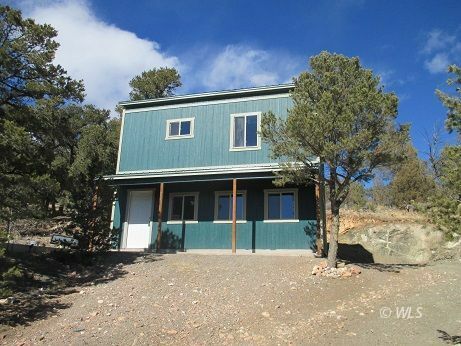 This partially treed 5 acre parcel has fantastic views of the Sangre De Cristo mountains. There is also a 2 story building which is unfinished inside but just waiting for your final touches to make this yours. Electricity has been run to the cabin. Come see what the mountains have to offer. No HOA.